From the beautiful Mission San Juan Capistrano and historic Los Rios Street to the city’s vibrant downtown district, the City of San Juan Capistrano offers a an abundance of historical, entertaining and unique attractions for both it’s visitors and locals. 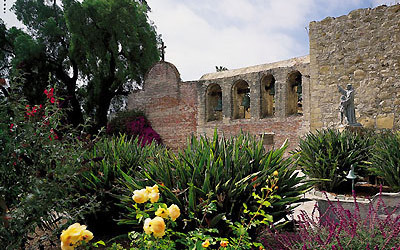 One of the favorite past times for those visiting San Juan Capistrano, is walking the historic streets and exploring the most beautiful of the California Missions. There’s also a large selection of fine restaurants and entertainment in the downtown area alone as well as specialty shops and boutiques, museums, saloons with dance floors, gourmet coffee stores and antiques galore! Electrician in San Juan Capistrano, California to serve you with personal, friendly, reliable, experienced and lasting service for electrical repairs, installs, and upgrades. Call us at (714) 744-4300 or (949) 857-8385. Our professional San Juan Capistrano electricians can come to your San Juan Capistrano home and diagnose any problem you may be having. Our trucks are fully stocked to ensure that we have the right tools and materials to ensure the best service for your home. We will do all your electrical work personally to guarantee an excellent job for you. All the electrical materials we install for your project will be the finest that are available. Any Commercial building or place of business can use a wide range of San Juan Capistrano electrical services, whether it is maintenance or installation. Dedicated circuits to avoid overloading of the circuits and circuit breakers. Energy saving lighting both inside the building as well as outside. Proper voltages to the machines and equipment ensures a longer running time with less problems. Parking garages and outside parking lots should always have sufficient energy saving lighting. One San Juan Capistrano commercial electrical service is if the light fixture does not have energy saving lamps and ballasts, electricians can retrofit the light fixtures making them energy efficient which will lower electricity bills and save electricity.